Weekly Deals Ending Tonight – Last Day to Save! These online and video courses provide instant access to the course materials and the CE test (to mark your answers on it while taking course). You can access anytime from your secure account, and you have 3 years to complete for credit! Hurry, sale ends @ midnight tonight! Professional Development Resources is approved to offer continuing education by the American Psychological Association (APA); the National Board of Certified Counselors (NBCC); the Association of Social Work Boards (ASWB); the American Occupational Therapy Association (AOTA); the American Speech-Language-Hearing Association (ASHA); the Commission on Dietetic Registration (CDR); the Florida Boards of Social Work, Mental Health Counseling and Marriage and Family Therapy, Psychology & School Psychology, Dietetics & Nutrition, Speech-Language Pathology and Audiology, and Occupational Therapy Practice; the Ohio Counselor, Social Worker & MFT Board; the South Carolina Board of Professional Counselors & MFTs; the Texas Board of Examiners of Marriage & Family Therapists and State Board of Social Worker Examiners and is CE Broker compliant (all courses are reported within 1 week of completion, provider #50-1635). Hurry, sale ends Wednesday, September 30, 2015. 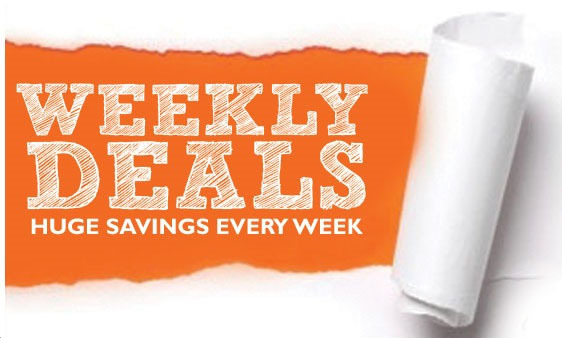 Weekly Deals End Tonight – Last Day to Save! Today is the last day to save up to 50% on CE in this week’s Weekly Deals. Offers expire at midnight tonight. Don’t miss out! Professional Development Resources is approved to offer continuing education by the American Psychological Association (APA); the National Board of Certified Counselors (NBCC); the Association of Social Work Boards (ASWB); the American Occupational Therapy Association (AOTA); the American Speech-Language-Hearing Association (ASHA); the Commission on Dietetic Registration (CDR); the CaliforniaBoard of Behavioral Sciences; the Florida Boards of Social Work, Mental Health Counseling and Marriage and Family Therapy, Psychology & School Psychology, Dietetics & Nutrition, Speech-Language Pathology and Audiology, and Occupational Therapy Practice; the Ohio Counselor, Social Worker & MFT Board; the South Carolina Board of Professional Counselors & MFTs; the Texas Board of Examiners of Marriage & Family Therapists and State Board of Social Worker Examiners and is CE Broker compliant (all courses are reported within 1 week of completion, provider #50-1635). These online courses provide instant access to the course materials (pdf download) and the CE test (to mark your answers on it while reading). You can print, or simply view on screen. Hurry, sale ends Wednesday, September 16, 2015! Professional Development Resources is approved to offer continuing education by the American Psychological Association (APA); the National Board of Certified Counselors (NBCC); the Association of Social Work Boards (ASWB); the American Occupational Therapy Association (AOTA); the American Speech-Language-Hearing Association (ASHA); the Commission on Dietetic Registration (CDR); the California Board of Behavioral Sciences; the Florida Boards of Social Work, Mental Health Counseling and Marriage and Family Therapy, Psychology & School Psychology, Dietetics & Nutrition, Speech-Language Pathology and Audiology, and Occupational Therapy Practice; the Ohio Counselor, Social Worker & MFT Board; the South CarolinaBoard of Professional Counselors & MFTs; the Texas Board of Examiners of Marriage & Family Therapists and State Board of Social Worker Examiners and isCE Broker compliant (all courses are reported within 1 week of completion, provider #50-1635).